PGA Championship week is underway. As sponsors of the event, Omega took the opportunity to celebrate the 60th anniversary of the Speedmaster at Quail Hollow Club in Charlotte, North Carolina. 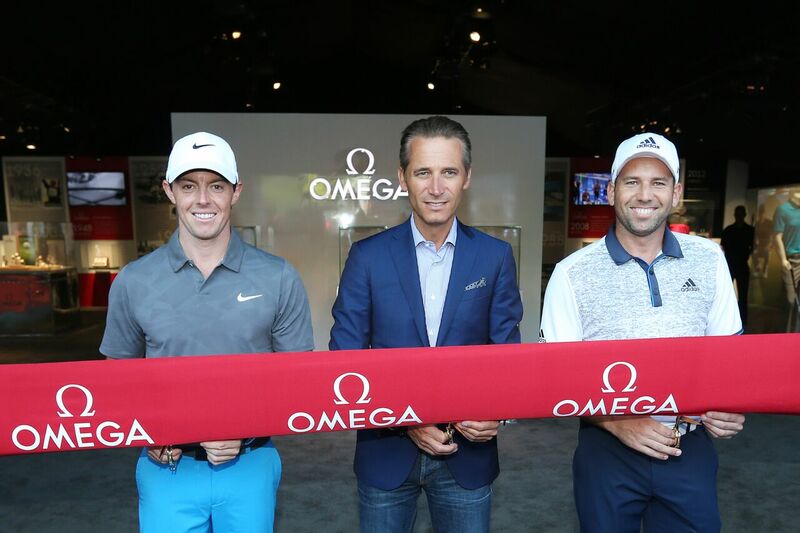 Top golfers and Omega brand ambassadors, Rory McIlroy and Sergio Garcia were at the center of the festivities. Omega went the extra mile to highlight their collection. 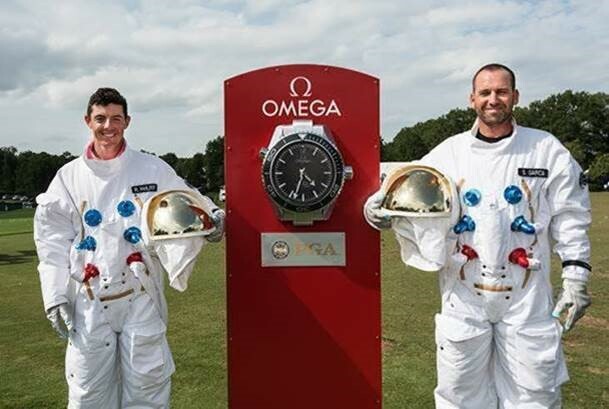 Trading in their regular golf gear for space suits, the pair of pro golfers played astronauts for the day to the delight of fans. This is of course to underline Omega’s association with space exploration and to remind onlookers that the Speedmaster is also the Moonwatch. It’s the perfect time for World No. 4 McIlroy and World No. 5 Garcia to have some fun before the first round begins on Thursday, August 10, 2017. 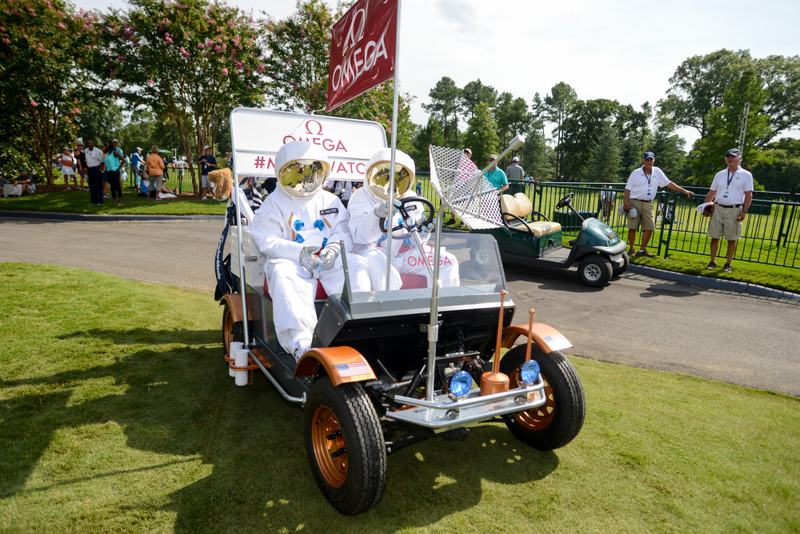 Along with hitting their shots in their space suits, McIlroy and Garcia also drove around in the Omega Lunar Rover golf cart! Originally launched in 1957, the Speedmaster’s fame propelled when it became the first watch to reach the moon during Apollo 11’s historic moon landing of 1969. In fact, Buzz Aldrin was wearing his Omega Speedy strapped around his suit when he took his first steps on the moon. Quickly adopting the nickname “Moonwatch” the Speedmaster has since been a part of all six lunar landings. The Omega Speedmaster is undoubtedly one of the most famous luxury chronographs available today. In addition to the Moonwatch, there’s a wide range of other Speedmaster models in a variety of sizes and styles. And in case you didn’t know, we’re giving an automatic Speedmaster to one lucky winner. Talking about Speedmasters, we have a giveaway! Whether or not McIlroy and Garcia play out-of-this-world golf this week to grab top spot remains to be seen. But one thing is for sure, we’ll be tuning in to the 2017 PGA Championships to see who wins the final golf major of the season. 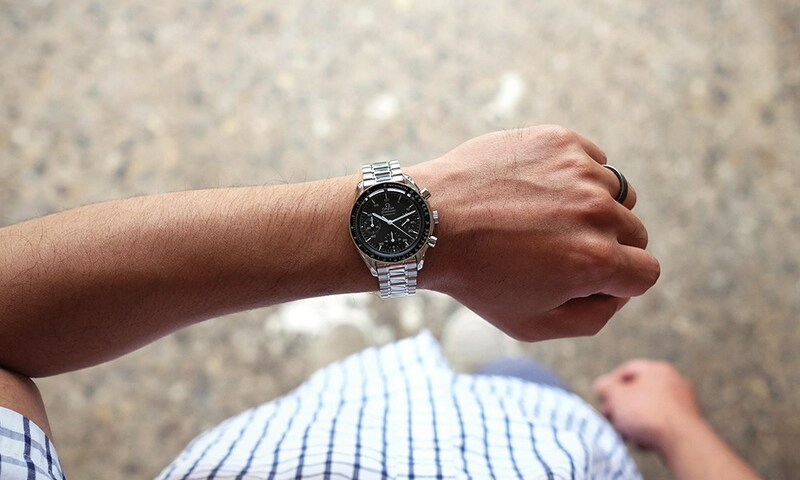 What are your thoughts on Omega’s Speedmaster Moonwatch Professional?